Back in the second volume of A New Type of Imprint we featured a group of four young creatives trying to make a name for themselves in the always competitive creative field. One of those were Jankeh Njie Jamanca, an up and coming twenty-year-old fashion designer combining inspiration from her Gambian heritage with her upbringing in Kolbotn, Norway. "When I was very little, my mama—as mothers do—used to put out an outfit for me to wear before school every day. But early on I set my foot down and chose my own outfits. I realized the impact of clothes and how you can communicate so much through colors and shapes. In my mind this was strongly linked to emotions. If I had a bad day I could show the world through the clothes and accessories I wore. That was when my passion—or maybe obsession—for clothes was born," Jankeh explained back in Volume Two. In the two years since our story, Jankeh — now twenty-two — and her brand Jarga Designs has continued developing and recently she launched her first collection of socks, which can be found in stores at the Nobel Peace Center in Oslo, Just Africa in Stockholm and in Jarga’s online store. In addition she’s started Jarga Art and Fashion Weekend, Norway’s first and largest annual event with the goal of celebrating and strengthening art and entrepreneurship across ethnicity and culturein Oslo. 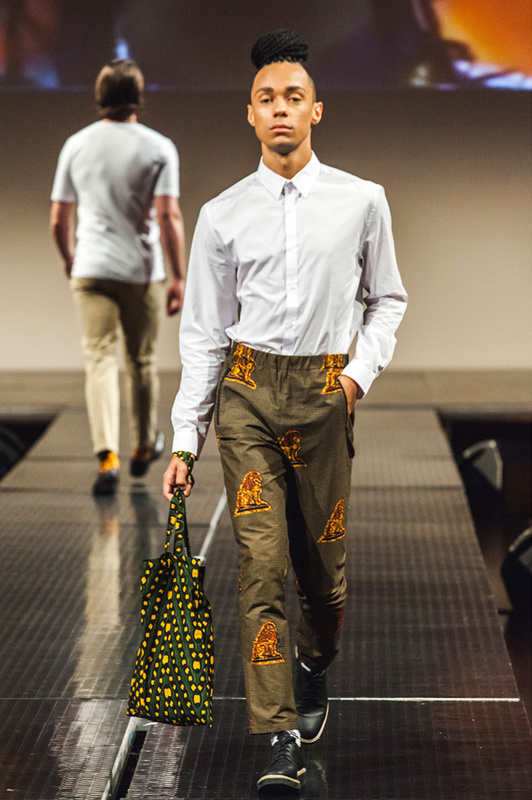 "Jarga Designs vision is to at all times bring the world a constantly evolving combination of African and European fashion," Jankeh told melkoghonning.no in a recent interview. She describes working on multiple projects and surprises for 2017, and we’re excited to see what’s next for the energetic, innovative brand.